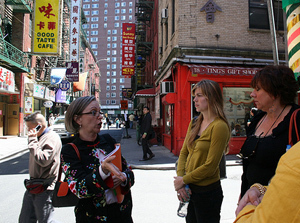 For an intimate and intelligent tour experience, sign up for one of Context Tours’ 14 art, archeology and architecture walks to explore NYC’s dynamic neighborhoods in a small group with six or fewer participants. All led by Ph.D.-level scholars and historians, walks cover NYC art galleries and museums including the Met, the Cloisters, the MoMA, the Frick and the Morgan Library; and buildings and archeology of the city. 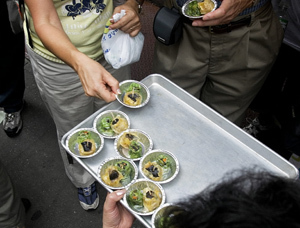 Foodies can opt for a cuisine walk such as The Chocolate Affair Walk, which explores how chocolate transforms from bean to candy bar, or an in-depth exploration of Manhattan's immigrant experience with a tour through Little Italy and Chinatown. Reserve your spot at http://contexttravel.com/city/New_York. 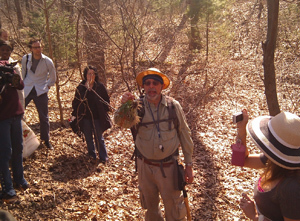 Go foraging with naturalist “Wildman” Steve Brill and learn about the diverse, edible and medicinal wild plants and mushrooms that live right inside NYC’s parks. Destinations include Central Park and Inwood Hill Park (Manhattan), Prospect Park (Brooklyn), and Forest Park (Queens). Tours are donation-based. Call 914-835-2153 to reserve your spot at least 24 hours prior to your desired tour. For more information, visit http://www.wildmanstevebrill.com/. This entry was posted on Saturday, October 16th, 2010 at 11:01 am	and is filed under Stuff to Do. You can follow any responses to this entry through the RSS 2.0 feed. You can leave a response, or trackback from your own site. Yes, it is. I would suggest using Google to find their contact site. They usually have a form to submit. Please let me know if you get stuck. Paris is always fun. I had a chance to celebrate my fist anniversay in Paris.